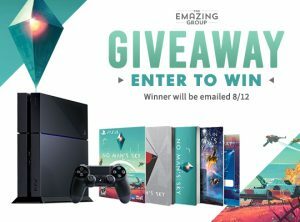 Enter to win a limited edition Playstation 4 console with No Man’s Sky the open-world video game. Winners will be notified via the e-mail address they used to enter. Prize is non-transferable. Must be 18 or older to claim prize. Entering will add you to the INTO THE AM & EmazingLights & HeartRaves newsletter lists.